I love getting the kids into the kitchen. 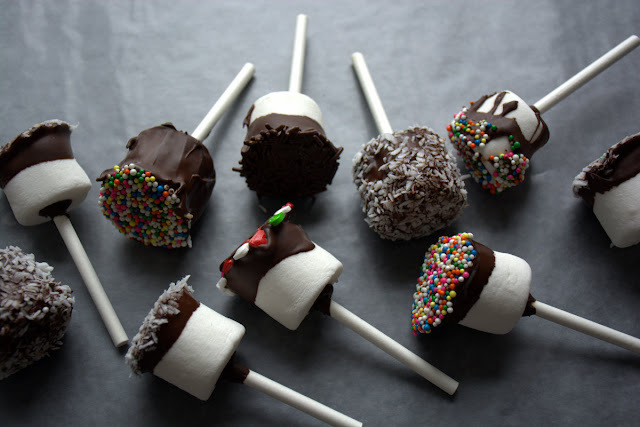 Days off school usually mean we wear our PJ's all day and we make sweet treats- I enjoy both of these activities immensely! The following is not so much of a recipe but rather a suggestion. Do as many or as little toppings as you like and let your kids do all the dipping and sticking. It will be messy but, it will be fun! 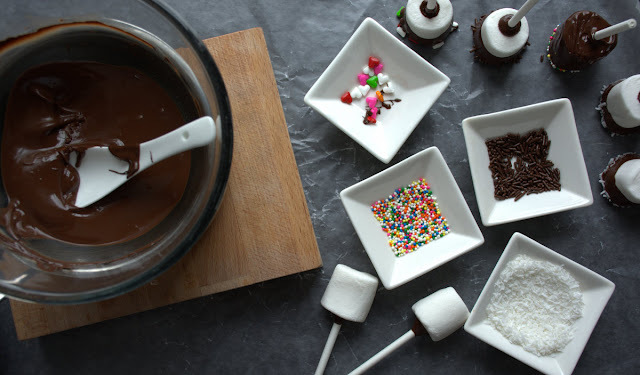 Heat the chocolate in a bowl over simmering water. Put your chosen sprinkles on separate plates. 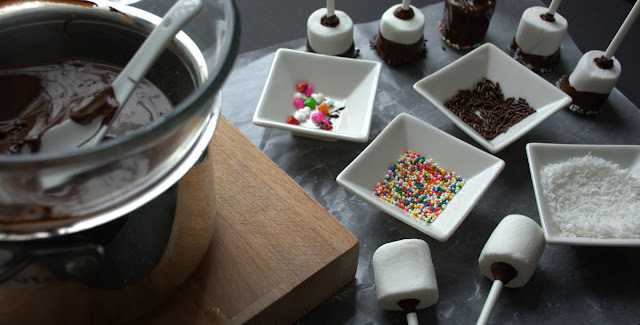 Dip the marshmallows into the chocolate, allow the excess to drip off then dip into the sprinkles of your choice. You can completely cover them or just dip the very end or let your imagination go wild and get creative! 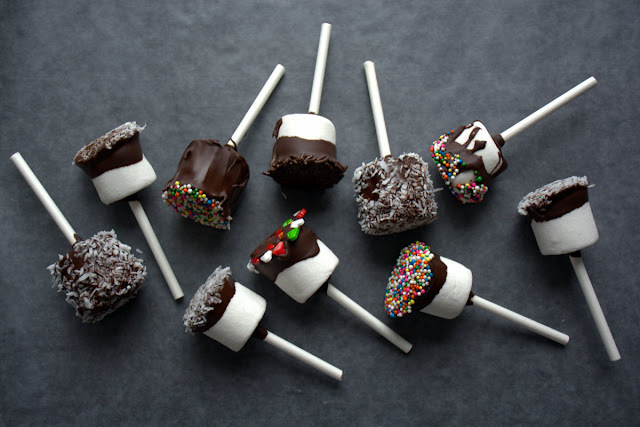 Place the dipped marshmallows onto grease proof paper and allow to set in the fridge. Everyone has chocolate on their faces and the dog ate all the sprinkles that hit the floor, it's a good afternoon in my kitchen.